Earlier this year we received a gift from the Ramsey Family Foundation to replace the current storage bed frames and update the headboards in our St. Louis home. (The gifts were replacing furniture original to the home when it was opened in 2005.) 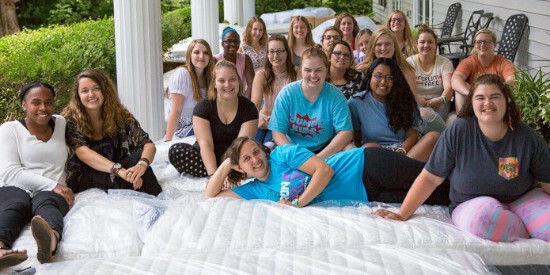 As we were planning to make these specific updates to our home, our friends and partners at The Bed Boss, a mattress distribution company that creates memory foam mattress and memory foam pillow products, donated new mattresses. The Lord’s timing was perfect! 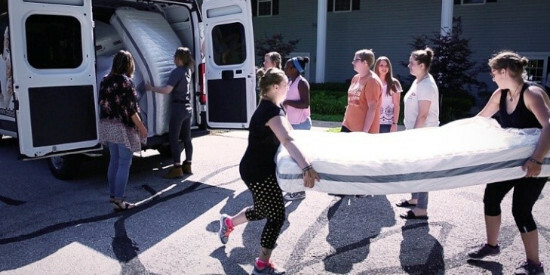 As a result of both The Bed Boss and Ramsey Family Foundation’s generosity, we were able to update the storage bed frames, headboards, bedding and mattresses all at the same time and it turned out beautifully! Click here and watch the excitement unfold when the truck pulled up to the home.